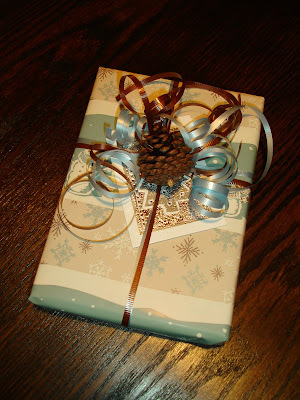 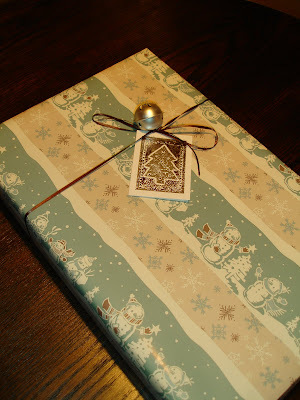 I was recently asked about some holiday gift wrapping ideas and thought I would share them with you all. 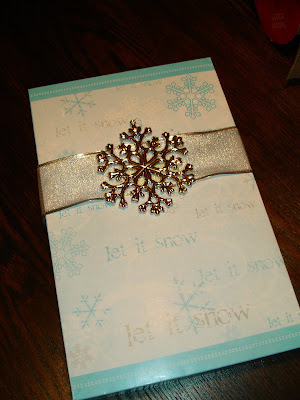 All of the supplies I used are from either Walmart or the dollar store. 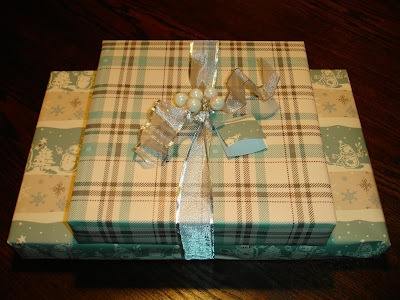 Gift wrapping is one of my favorite things to do. 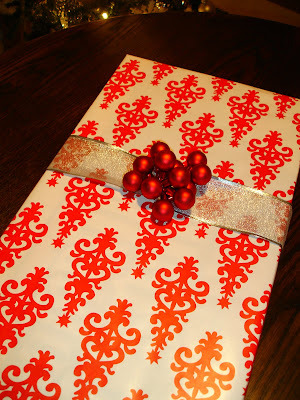 You can get creative and not have to spend a lot of money on it. 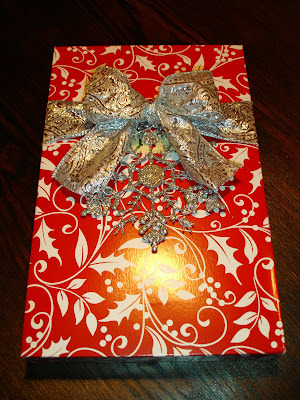 I vowed this year to not buy anymore wrapping paper until I had used up what I have and here's what I came up with. 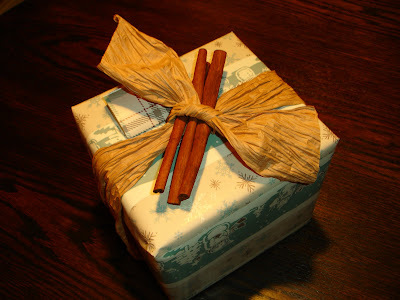 This one has cinnamon sticks on it to give it a little holiday flair, and they smell good too!